Not everyone has got the guts to eat spicy food, let alone the hottest chilies, also known as the queen chilies. In this world, only some tongues can ever taste those colored queens and still remain sangfroid. 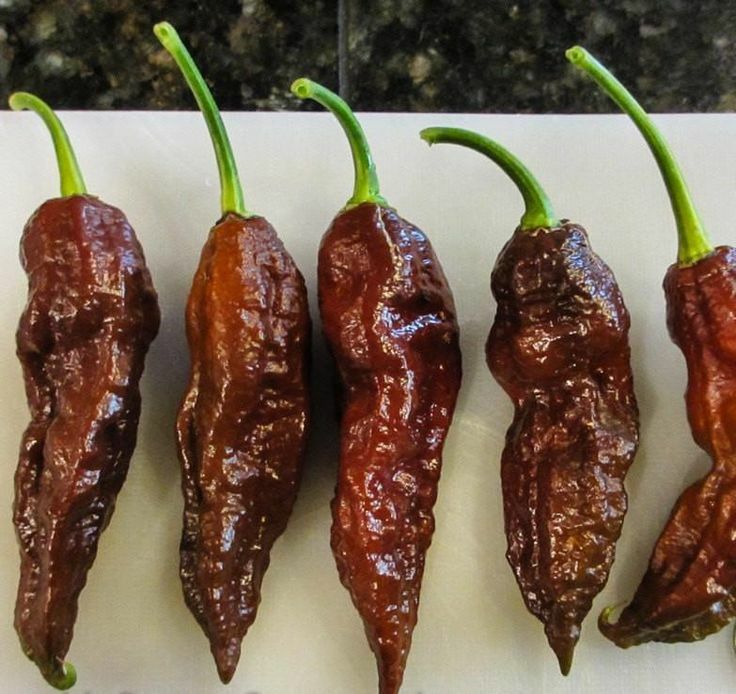 While you may be haunted by the banalest red and green chilies, here are 5 hottest chilies in the world which can make any man burn from inside! 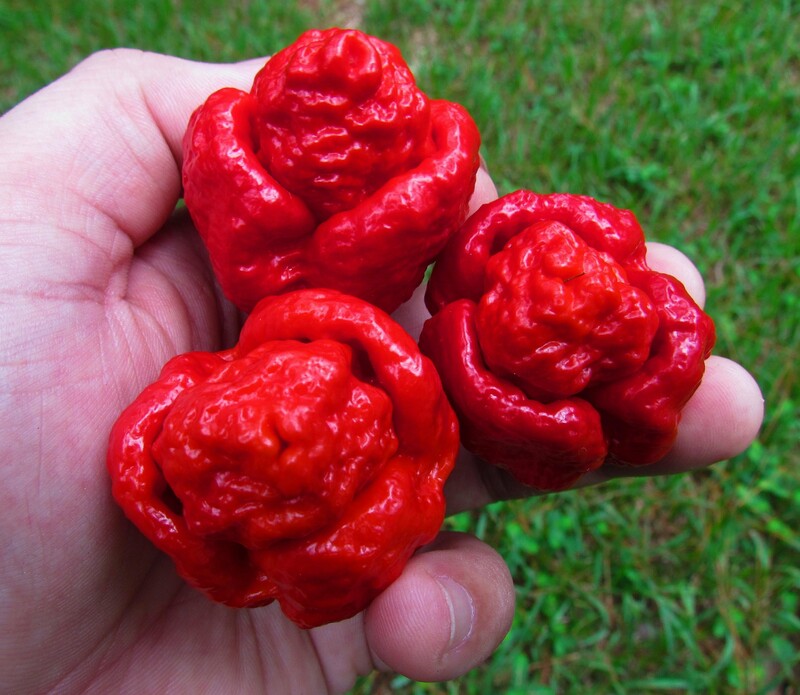 Number 1 in the list of hottest chilies or the hottest peppers in the world is the Carolina Reaper. Don’t go on its sweet name, this deadly stuff is an arsonist of the tongue. And let me tell you, it is more hot than erratic. A single seed of this chilly can make your brain go awry and eyes will water like hell. On Scoville scale (designed to gauge the pungency), it fares the highest with 1,569,300 SHU (Scoville Heat Units). One of the hottest chilies in the world, the naga viper can wipe away your taste buds for a while. The hotness can actually inflict an unprecedented assault on your mouth and you are destined to boil up once you meddle in its affairs. Scoring 1,382,118 SHU on Scoville test, this is a hybrid of super hot varieties of chilies including the infamous Trinidad Moruga Scorpion and Bhut Jolokia. 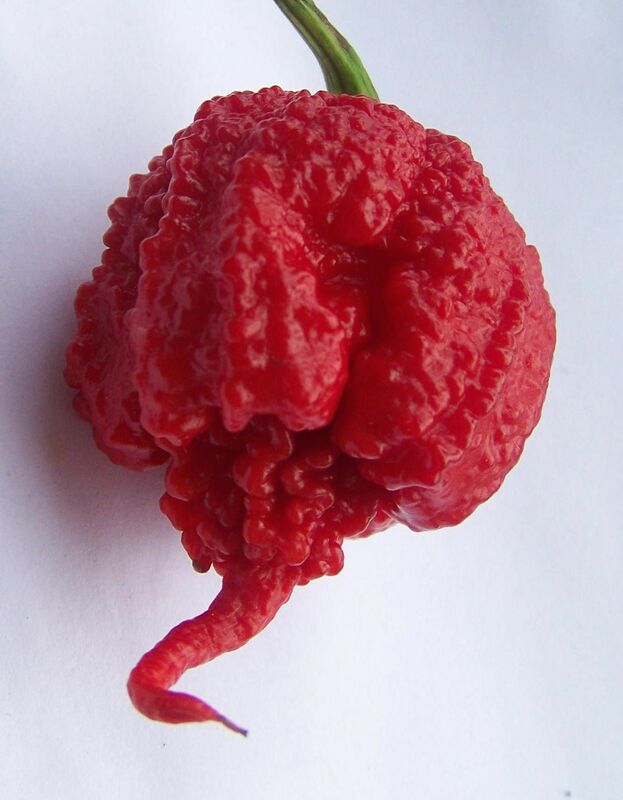 The father of Naga Viper, Trinidad Moruga Scorpion ranks third in the list of hottest chilies in the world. Though this Carribean father is somewhat less pungent than its deadly son, yet it must be no less feared than the son. As much stingy and painful as a Scorpion, it scores 1,200,000+ SHU on pungency test and can leave you dumbstruck (really) once you put it on your tongue. How can anybody compare a thing as mirthful as a chocolate and as disgusting as Chocolate Habalokia? This disguised brown chili itself abhors chocolate. With 8,00,000 SHU, no chocolate can ever dare to quench Habalokia’s catastrophe in one’s mouth. Therefore, it is one of the top ranked hottest chilies in the world. The list of hottest chilies in the world is incomplete without Bhut Jolokia or the Ghost pepper. Mother of Naga Viper, this Indian chili is also known as the ghost pepper. DRDO (Defence Research and Development Organization) is making aerosol sprays which can be used in sensitive areas to control a mob or to take out hiding perpetrators. In fact, Indian Army used this mother of all peppers in August 2015 to take out terrorist Sajjad Ahmed who was hiding in a cave. Bhut Jolokia shows mercy on no one! Bhut Jolokia scores 1,041,427 SHU in Scoville test! Beware! These are the hottest chilies in the world. A touch can end up in the hospital!